Railway & River Shoot : 23.04.2015 Shoot in the river and on a railway. Grade 2 Musical Theatre Exam : Passed with a Merit! with Stagecoach Theatre Of Arts School! Stagecoach Theatre Of Arts School : Studied Acting, Dancing and Singing for 6 years. 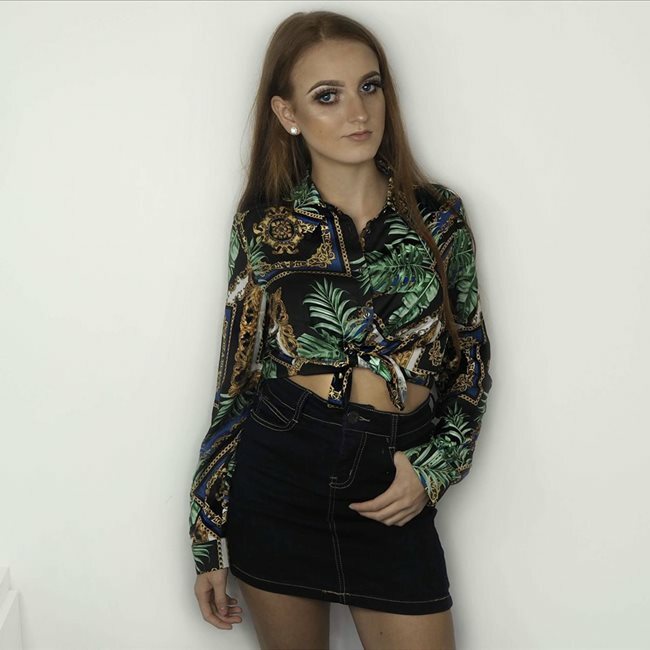 I am a spotlight registered artist and have attended Stagecoach Theatre Of Arts School for 6 Years, Completed GCSE Performing Arts, Award in Grade 2 Musical Theatre, Distinction in A-Level Performing Arts and am eager to gain more experience in the industry. I have worked on productions like Emmerdale, Victoria, Zombie Apocalypse, Evermoor (Disney Channel) and more. I put 100% into all that I do. I am currently Looking for acting and modelling representation. I have over a 20k Following on Instagram And have had various collaborations and sponsorships with multiple companys in the Lifestyle, beauty and fashion Niche. I Have worked with brands like Select Fashion, Shein, Birch Box, Soulbowl , Motel rocks, Keddo, Cocoalocks and many more which can be viewed on my Instagram. I have no previous Experience in Reality TV but it has always something I have been eager to get involved in and have always watched!